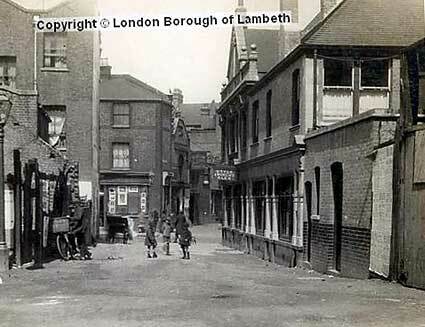 May 1929 This view shows the unmetalled passage running behind Brixton Theatre from Rushcroft Road to Coldharbour Lane. 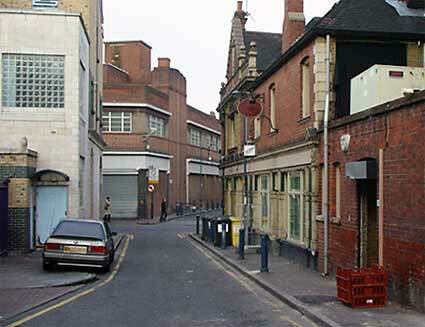 On the right is the 'Coach and Horses' public house. Dec 2003 Only the pub remains from the original view, and that has suffered several unapproved alterations in recent years (note the ugly air conditioning unit on the first floor). The pub limped on as the Coach and Horses until the mid 90s, before being yuppified into the 'Isobar' and then turned into a style bar called 'Living'.